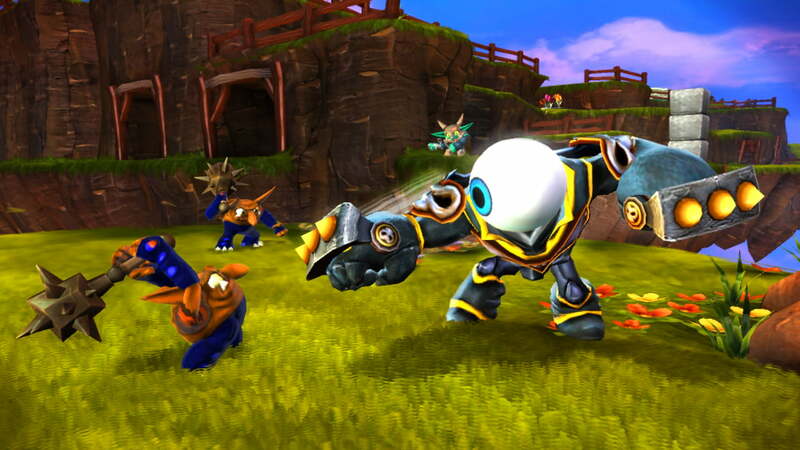 Activision today introduced two new characters for Skylanders Giants — Eye-Brawl and Thumpback. 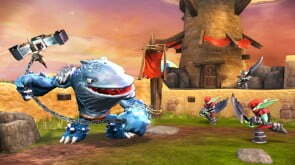 Eye-Brawl and Thumpback are new giants that bring the roster to seven currently available giants characters. Tagline: Hail to the Whale! 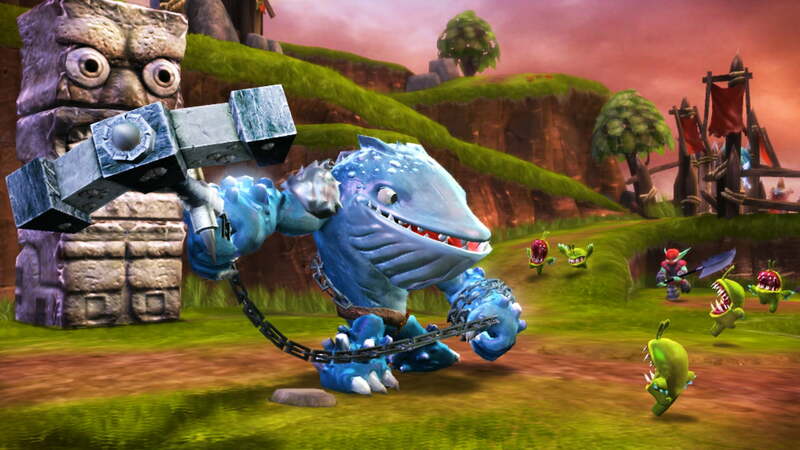 Bio: Thumpback is a water element giant. He was once a crew member of The Phantom Tide, the most fearsome pirate ship in all of Skylands. But the actual pirating part about being a pirate didn’t interest Thumpback so much as the benefits that came with traveling on a large ship. After all, his real passion was fishing. But when his chance came to finally ensnare the most elusive creature in the sky – the Leviathan Cloud Crab – he was pulled over board and carried off into the horizon. This was actually quite fortunate, because sometime later The Phantom Tide and its entire crew were banished to the Chest of Exile. 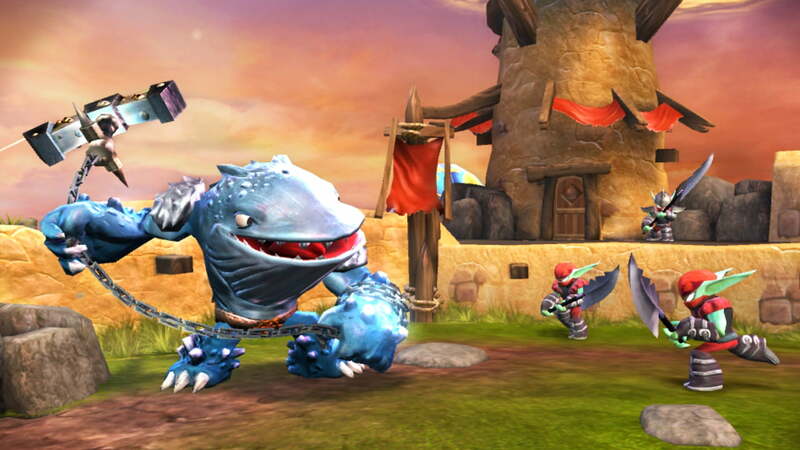 Thumpback’s pirating days were over, but his legend as one of the first Skylanders had only just begun. 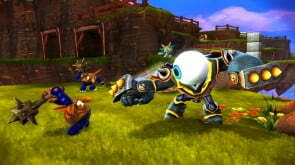 Tagline: I’ve got my eye on you! 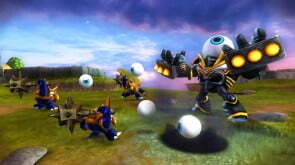 Bio: Eye-Brawl is an undead element giant. Throughout history, there have been many epic battles, though none more bizarre than the legendary brawl between the headless giant and the infamous flying eyeball. It all started with a staring contest, but with the headless giant having no eyes and the flying eyeball unable to blink, it soon escalated into an all out war as the two rivals fought fiercely throughout the land of the undead for over a hundred years! With neither opponent backing down, the two combatants were eventually struck with the realization that if they were to combine their formidable powers, they would be a force to be reckoned with. By teaming up, the infamous flying eyeball and the headless giant became known as Eye-Brawl – one of the most powerful Skylanders ever known! 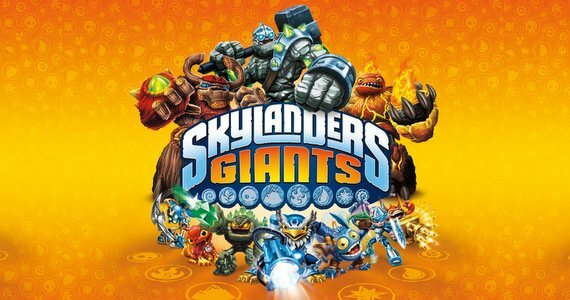 Skylanders Giants is now available for Wii, Wii U, PS3, Xbox 360 and Nintendo 3DS.